It turns out if you want to get the LA-based musician Will Wiesenfeld, stage name Baths, talking about video games, you should ask him about Diablo 2. In video game circles he’s known for the theme song for this summer’s Dream Daddy, as well as the understated trailer music for Hyper Light Drifter’s stunningly successful Kickstarter campaign. Listening to Baths’ densely packed electronic music for the better part of five years, I never once imagined the person behind it hunched over a computer deciding which synergy of Barbarian abilities to pursue. Wiesenfeld broke out with a hit 2010 album Cerulean, which was recorded in his bedroom over the course of two months. He’s forged music out of everything from his jittery vocals to the deconstructed fragments of pulling the ethernet cable out of his computer, and as a result the album surpassed and outlasted the West coast chillwave miasma in which it percolated. Three more albums and an EP later, he stands out in the crowded field of electronic music in part by embracing his own idiosyncrasies, all of which are on display at his prolific Twitter account (he has a soft spot for Overwatch shipping) and scattered but intimate musical compositions. Prior to writing it, Wiesenfeld suffered a short bout of E. coli. While the bacteria only lasted a few days, the medicine he took for it laid him out for weeks. That bleakness, barely able to get out of bed and unable to consume real food, permeates Obsidian. The mild body horror reflected in some of the album’s lyrics are also mediated by fantasies that helped Wiesenfeld escape at the time, chief among them Skyrim. Wiesenfeld calls Obsidian a “Medieval-tinged dark pop experience” and notes both Silent Hill 2 and Fatal Frame 2 as touchstones for the album’s grim atmosphere. Much of the material is inspired by games and anime. Sometimes the references are oblique, as with Skyrim’s effect on Obsidian. I’ve listened to “Turian Courtship,” a particularly forlorn track off of a Baths B-Sides compilation, close to a hundred times without making the connection to Mass Effect. “I was obsessed with gerus and I still am,” he confirms during our call. Other connections are more explicit. The B-Sides track “Seaside Town,” samples Studio Ghibli’s Kiki’s Delivery Service. “This is just the kind of place I’ve always imagined,” a sample of the movie’s voice actor Kirsten Dunst declares breathlessly five seconds in. “Seaside Town” perfectly captures the feeling of the movie over the course of a brief three minutes. More than that, it suggests a version of the port city of Koriko that exists outside of the narrative arc of the film. Like Skyrim or Mass Effect, it feels a part of a world that keeps on existing even when you’re not around but that you can visit through Wiesenfeld’s music. 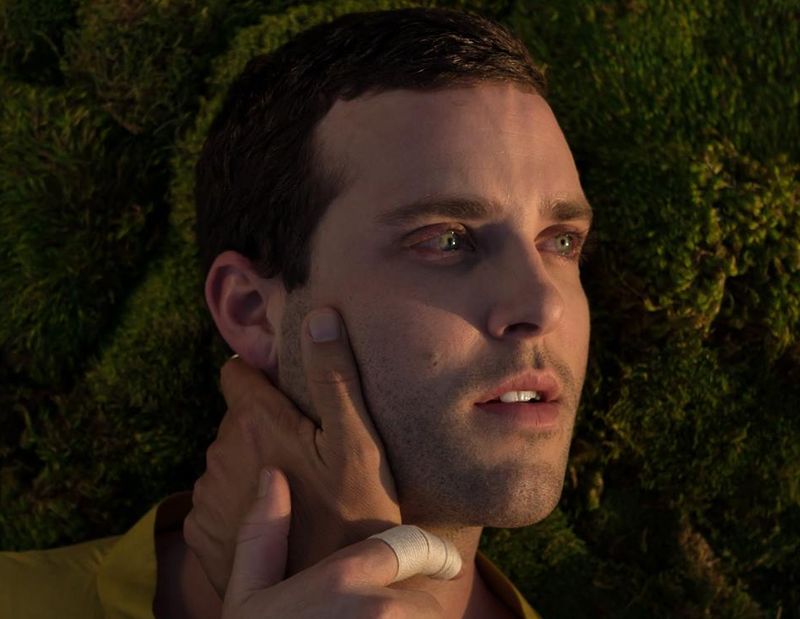 Baths’ latest album, Romaplasm, is less coy than earlier Baths and flaunts its allusions more openly. It starts with “Yeomen” and a more buoyant Wiesenfeld declaring in sing-songy fashion, “Man, it’s good to see you / This must be the airship / And are these your fellow crew? / Where are we headed? / I have nothing to do.” At one level it’s a permutation of the Reading Rainbow song, trading books for mornings spent watching Cardcaptor Sakura (“decent,” at least in the beginning), My Love Story!! (“very cute”), Hunter × Hunter (“watched the entire thing in two or three months”), and Haikyu!! (“my favorite of the past year”). It’s also Wiesenfeld’s invitation to the listener about to embark on Baths’ most pop album yet. The one part of the game that’s stuck with him the most is the Wicked Eyes and Wicked Hearts side quest. “It’s a detailed and entirely singular quest in the game where you have to navigate through this opulent, gorgeous gathering of royals and high society while committing as few social faux pas as possible,” writes Wiesenfeld. Pockets of the scene he describes show up on Romaplasm’s third track, “Abscond.” Lyrics like “If I scale the castle wall, will that do? Win your affection if I fall, call truce / We boys like bells, like gongs that put the town into a song” could fit seamlessly into a Dragon Age side-story without feeling derivative or borrowed. When it came to creating tracks for Dream Daddy and Hyper Light Drifter, Wiesenfeld’s exacting nature as a musician hit up against the process of making themes to complement what already existed. Questions about what the music should be and logistical obstacles threatened to mothball the collaboration until one day Wiesenfeld called up Dream Daddy co-creator Vernon Shaw and said, “Can I just do it and we’ll worry about whether or not things are proper for it after the fact?” He ended up turning in the theme music a week and half before the game came out. It’s a simple, melodic repetition of the game’s name that’s proven to be one of the more memorable opening menu songs. With Hyper Light Drifter, there were plans for Wiesenfeld to contribute more than just the initial trailer soundtrack, but Wiesenfeld thinks in retrospect an entire game’s worth of music would have been an impossible task at this point in his career. “I think I would have fallen short scoring an entire game like that,” he says. “I sort of get really self-conscious about recycling things when I’m stretched that far.” Praising Disasterpeace’s soundtrack for the game as “perfect,” Wiesenfeld thinks the few minutes he did contribute for a trailer, which came to define the game throughout much of its long development, was the right amount for him personally. The result so far has been a catalog of sounds and melodies that feel readily familiar to anyone raised on the sonic limitations of earlier video games or the sincere melodrama of anime romance, but which doesn’t ever lose itself to crude idolatry. Romaplasm just happens to be the purest expression of those influences yet. Wiesenfeld describes his morning anime compulsion as a sort of “safe space” where he can be completely, unselfconsciously himself: a dude writing some of the most purely exuberant electronic music in between binge watching the latest Crunchyroll translations and waiting on Dragon Age 4.